Dr. Hugh Sinclair McDonald was born in Kingston, Ontario on the 20th of November, 1870. He was the 7th of 8 children born to Alexander McDonald and the former Isabelle Sinclair. His father was a baker. 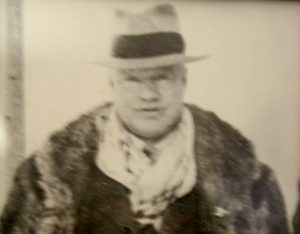 His siblings included; William, Annie, Johnny, Alex, Angus, Bella and Mary. 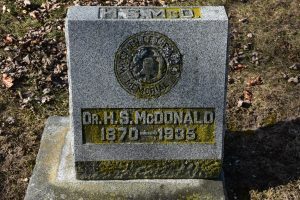 Dr. McDonald graduated from Queen’s University Medical School in 1895. He served as the House Surgeon at the Kingston General Hospital. Dr. McDonald set up his medical practice at the Clifford House Block in Dresden. In an advertisement it stated that his office had “telephone connection”. 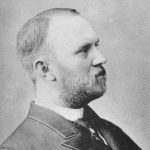 Dr. McDonald advertised his medical practice in Dresden in the 1897 and 1900 Farmers and Business Directory for Elgin, Essex, Kent and Lambton Counties. Dr. McDonald advertised that his office had “telephone connection”. Dr. McDonald is listed in the 1900 Ontario Business Directory as practicing in Dresden. In the 1901 census Dr. McDonald is listed as “single” and living as a lodger in a hotel in Dresden. He married Susan Edna Watson on the 25th of June, 1902 at the Watson residence on Hughes Street in Dresden. 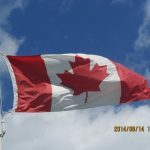 She was born on the 10th of July, 1877, the daughter of Cyrenes Park Watson and the former Jane Furey. Mr. Watson was the Postmaster of Dresden and a merchant. Susan was the 5th of 6 children. Her siblings were; Annie, John, Edward, Chester and Owen. Dr. and Mrs. McDonald had one child, Alexander Watson McDonald who was born on the 12th of August, 1904 in Dresden. He died on the 22nd of February 1905, at the age of 6 months and 10 days. According to the 1911 census, Dr. and Mrs. McDonald were residing at 13 Brock Street. Dr. McDonald devoted 40 years to the citizens of Dresden and the surrounding area. In the early 1900’s, Dr. McDonald along with Dr. John Irvine Wiley organized the Dresden Lawn Bowling Club on Queen Street. In 1913, the Dresden Public Library was opened and Dr. McDonald was appointed to sit on the Library Board, along with Dr. Wiley. Dr. McDonald was the Mayor of Dresden from 1912-1915. He also elected to the hydro commission and served for 20 years until his death. Mrs. McDonald was a member of I.O.D.E. Chapter in Dresden. 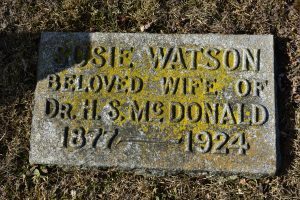 Mrs. McDonald died on the 8th of July, 1924. 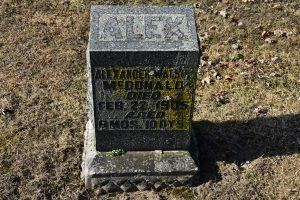 Dr. McDonald died at the Public General Hospital in Chatham on the 1st of March, 1935. They are buried at the Dresden Cemetery. Photo: Courtesy of The Dresden Public Library. 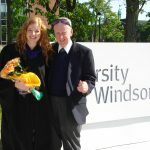 *Dr. John Irvine Wiley is also featured on the Chatham-Kent Physician Tribute website.